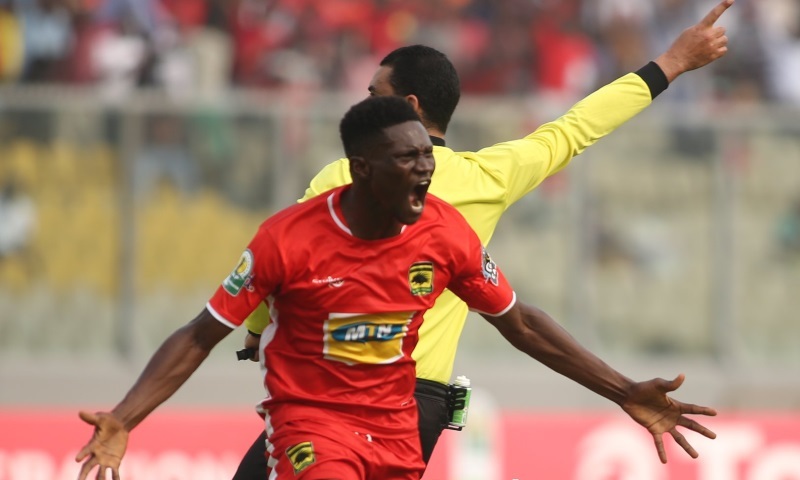 Asante Kotoko midfield dynamo Kwame Bonsu is excited to make his injury return in the club's 2-0 win over Ashantigold in the GFA Special competition. Bonsu climbed off the bench in the second half to help the Porcupine Warriors to an important victory in match day four of the competition. After missing two games, following the injury he picked on the opening day against Aduana, the 24-year old made his presence felt after taking charge of the midfield. "It feels really great to be on the pitch again with a massive win," he posted on Twitter. "Good performance from the lads today! Thanks to all of you for the amazing support!.. once again congrats on your goals Abdul Fatawu Safiu. "Let’s keep going," he added. The Porcupine Warriors won the entertaining match thanks to a second-half brace from attacker Fatawu Safiu. It was a game of two halves. In the first half AshantiGold completely dominated and controlled the game but Felix Annan produced an incredible performance to deny the Miners a deserved lead.